Another Kei-car? Yes, that is correct, they don't call this site DailyKeismo for NOTHING. We've got a reputation and a revelation to maintain. Anyway, the next precious little keitora class machine we are going to feature is from Honda Giken Kōgyō KK and you can't beat the price. Find this 1992 Honda Beat offered for $3,800 in Spring, TX. Tip from Jeff. 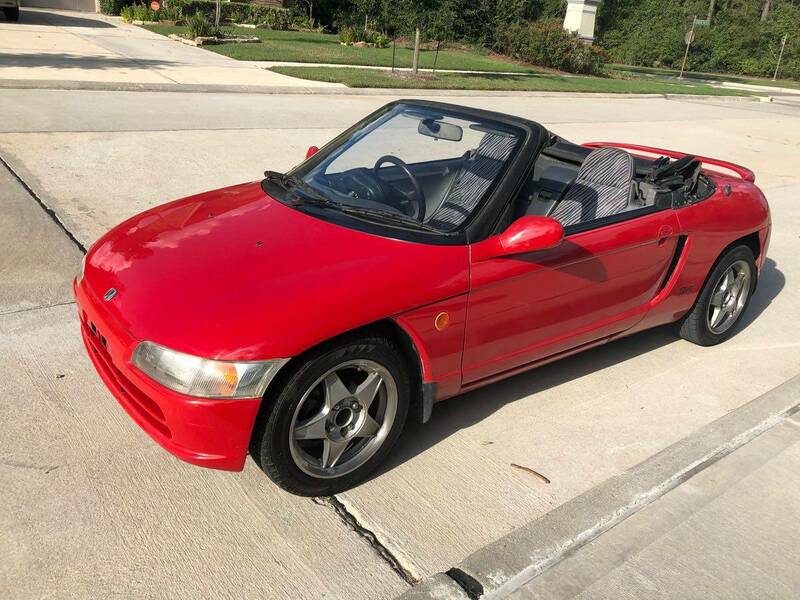 Selling an imported jdm 92 Honda beat. Mid-engined, rear wheel drive, with a 5 speed transmission. Runs and drives great. 18,700 km on the cluster. Original paint. No rust. Needs new top(can be found on eBay) and a few other things to be perfect (speedo and A/C don't work). Price is firm. Feel free to compare to other Honda beats. 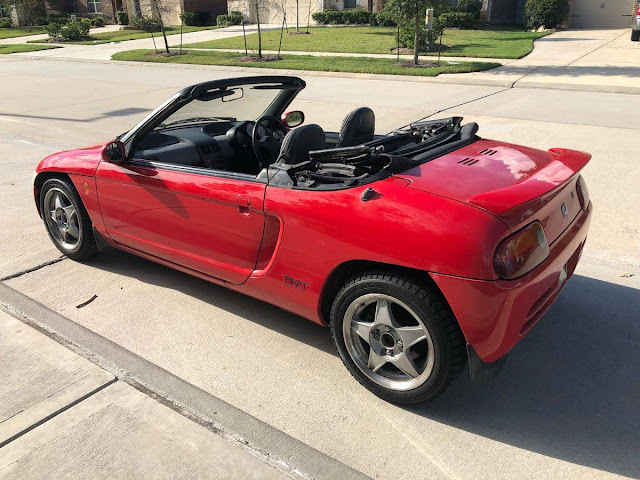 non-funct AC and no top on a Texas car? Strong selling points. Might be nice in Canada. light enough to pick up out of snow drifts. A friend once had a Subaru 360. He said that he used to kick it to push it back on the road after sliding off on ice in the winter. We recently bought a Beat at the Amelia Island Concours from an off-site auction house which I won't name unless some desperately needs to know. The gauge cluster read 35,000 km's and we bought it on good faith with no PPI. A few days later the overpriced delivery truck disgorged a beat-to-hell Beat that ran rough, looked bad and had a CEL Check Engine Light. 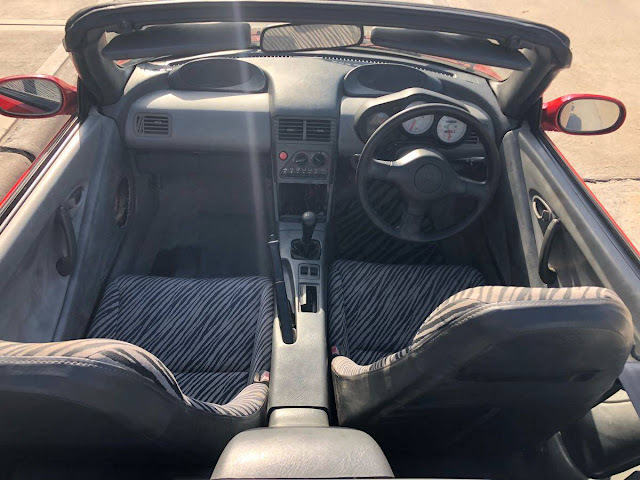 Some digging behind the passenger seat revealed a hidden compartment with the manual - and receipts showing the car had an ASTOUNDING 185,000 kilometers on it: the odometer had been rolled back. I was LIVID. The company, based out of Texas stonewalled me, pointing at the consigner and shrugged their shoulders. I was persistent in my demands for a refund. They finally agreed, telling me I'd have to ship it to the original seller in Virginia at my own expense. So I got my $6000 back minus auction fees minus delivery costs minus shipping to Virginia. Their larceny cost me over $2000. My wife who did not sign their f*cking NDA is making a video about the experience. Not cool! That had to be incredibly disappointing. I hope you find a nicer Beat.